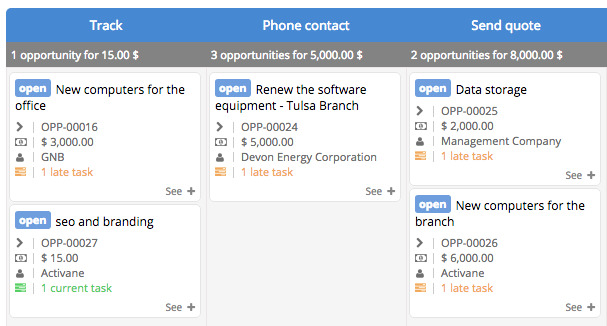 Sellsy offers a view of your pipeline to help you easily manage your opportunities. 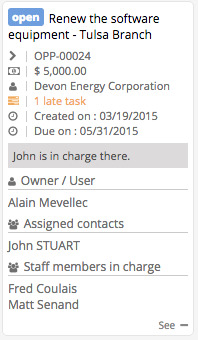 To access it, click on Opportunities and then Pipelines view. For every step of your pipeline, you can see the opportunities in progress. The total of each step is calculated and a summary of each opportunity will be displayed. 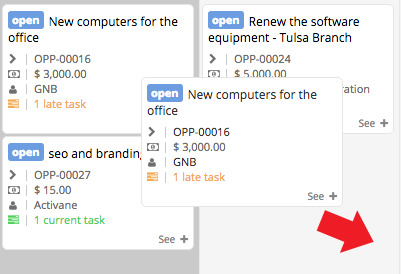 A task's status is displayed for each opportunity. To display the detailed record of an opportunity, click on the name and a summary will appear.